Some circumstances may require a more secure and durable solution than standard polyethylene bird netting. 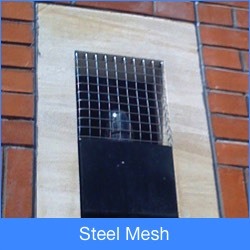 For these situations, either galvanised or stainless steel wire mesh can be used. We have successfully used mesh for a variety of proofing solutions including: long term proofing of church windows, rainwater hoppers, removable panels and vandal resistant bird proofing.